Need a Break From The Clock? Try These 5 Fun Runs! The race will take place during the hottest part of the day and will be comprised various zones. There will be sprinklers, foam, water balloons, spectators will be hosing you down, it will be a water fight of massive proportions! This is not a timed event so you can concentrate on having fun and breathe easy! COSTUMES: YES!!! Dress up in your Zombie Apocalypse best. This is about as close as you will get to the zombie apocalypse unless a strange, flesh eating strain of rabies escapes from the CDC. 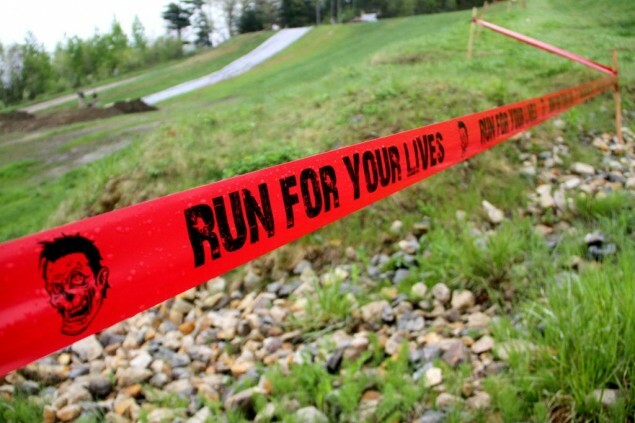 During this race you will have to avoid hordes of flesh eating zombies as well as navigate some tough obstacles. If you ever wondered how you will fair if the world succumbs to savagery, this is event is right for you. Be aware, that any kind of weapons or violence against zombies, race officials, or other runners is strictly prohibited and will be punished. This is a race where you do a lot of running, climbing, swimming, and potentially working together with other runners, your friends, family, and your imaginary friends (if you have them). Rules and regulations for this event can be found here. 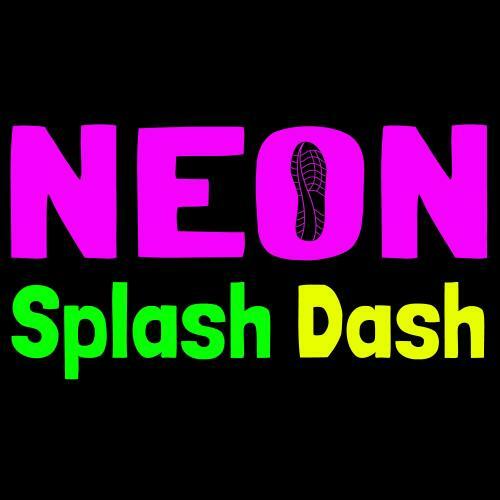 Run the infamous Atlanta Motor Speedway while being drenched by neon colored water while being light up by the black light. It is a fun and wonderful way to break up your weekend routine and enjoy some running/ walking fun with your friends, family, and strangers. Bring a zip lock bag for your phone, camera, or ipod, you will get wet and colorful. 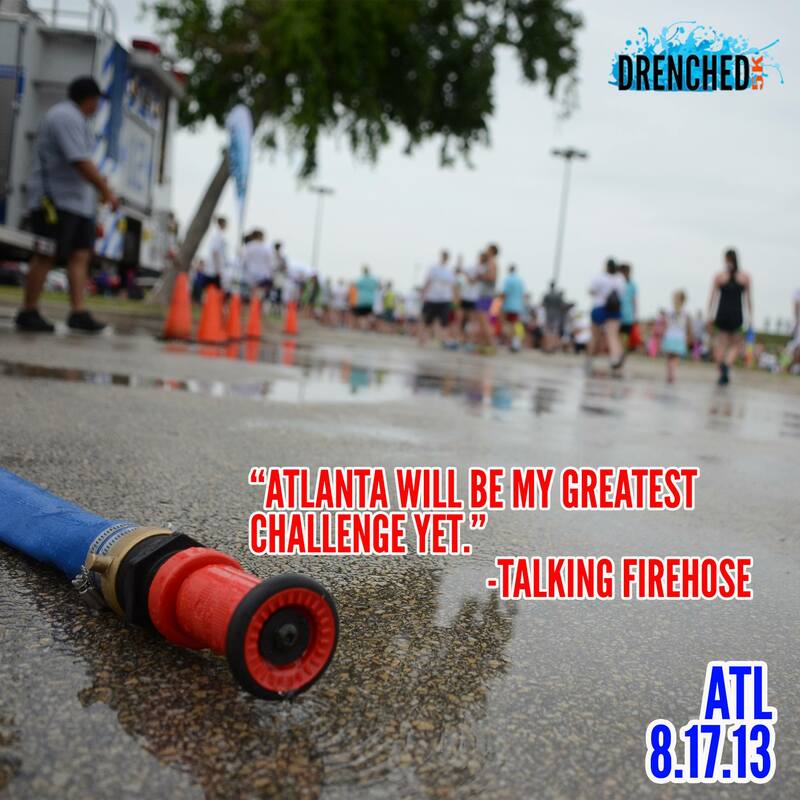 This is a brand new run that is coming to Atlanta in the fall of 2014. The event is not timed and is a great opportunity leave your GPS at home and run for the sake of running and fun or to bond with your slower friends and relatives without having to worry about the clock. What is so special about this run? Well, this run will add color to your life by making sure that you are literally covered in it by the time you cross the finish line. Wouldn’t you like to look like an original piece of art? Yep, me too. I hear that if you soak your color stained shirt in white vinegar you will end up with a tie dye pattern to remember the race by. However, if you are not into color and would like to have your shirt back to its original condition, just wash it in cold water. If you need an excuse to start drinking before noon, here it is. This is a 5K that is designed to quench your guilt of pounding beer at a local bar on an early weekend morning. The event has a late start. Come on, we all know you partied the night before and won’t get up before 9 am anyway. There will be plenty of water stations along the route to make sure that you are properly hydrated and there will be plenty of beer afterwards to make sure that you replace all those calories you lost. Really, it is a great way to spend a weekend morning with your friends while doing something that is fitness and beer related. I find myself constantly looking for a faster, better, and easier way to eat clean while removing all the guess-work out of the equation. I have to admit, when I first started on my fitness journey, I was overwhelmed by the amount of nutrition information out there and overlooked the most important part of eating for fitness: eating clean. This has to be one of my favorite kitchen tools. This little gadget allows you to evenly spread olive oil (or any other oil) on your salads, pans, and baking dishes without accidentally getting heavy-handed with your pour. We have all been there! 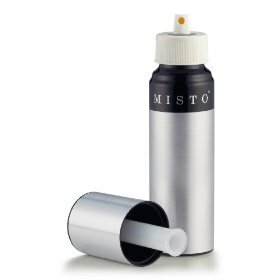 Misto is also cheaper than expensive oil aerosol cans, considerably healthier, environmentally friendly, and can be used to spray any other liquid. Just make sure that there are no solids in you concoction to clog the spray nozzle and tubes. 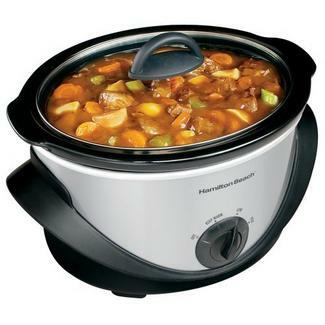 I absolutely love my slow cooker. I get so tired of eating the same old roasted or grilled chicken and every once in a while I want something new, exciting, that I really don’t have to pay attention to while it cooks. I find that a slow cooker full of protein, various spices, and sweet potatoes can go a long way to help you out with your weekday dinners and maybe even your weekday lunch. Follow my recipe for chicken broth and you will have chicken to put in your chicken salad and an amazing broth that you can add to your other recipes. The best part is, there is no stove required and the cleanup is minimal! In my opinion a scale is a must. I measure out and weigh all of my pre packaged dinners, lunches, and snacks. At first it was very hard to have the discipline to measure, but now it is almost second nature. 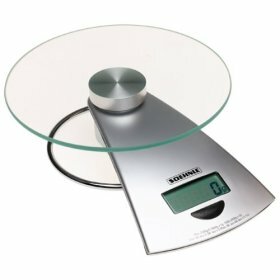 A food scale will help you stay on track, especially when you are just beginning your fitness journey, it’ll allow your body to properly adapt to the amount of food you should be consuming, as well as help you track your calories better. A scale removes the guesswork, so when your trainer asks you how many grams of protein you had yesterday, you will be able to give them a solid number. There are times when I am just dying to have a some potato chips. Are they worth throwing out an hour in the gym? No. So, I figured out a way to get my salty, crunchy fix with the help of this wonderful tool. I use a sweet potato, slice it into paper-thin slices to mimic potato chips, lightly spray them with olive oil, sprinkle with salt or Cajun seasoning and herbs and bake them at 400 degrees until they are crispy. 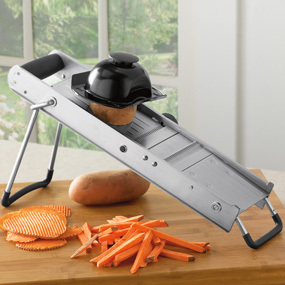 I also use this helpful tool to quickly prep my salads and cut veggies for stir-fry and soups. I love cooking with fresh herbs. 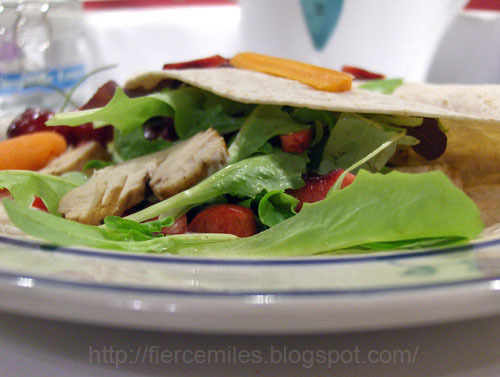 They bring out flavor of various proteins and bring salads together. To me, herbs are the equivalent of kitchen duct tape — a good mix of herbs fixes everything. However, keeping fresh herbs on hand can be a tall order. Considering that only a small quantity is required to bring big flavor to any dish, we are left with a lot of leftovers that tend to wilt and spoil quickly. Of course, if you have access to a garden, patio, or a sunny window, you can always grow your own, but what if you don’t have that luxury or just simply lack a green thumb? 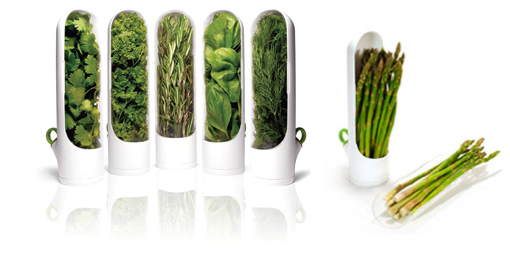 Well, this little invention keeps herbs fresh and ready to use for a considerably longer period of time. Although I have a garden and grow a lot of produce year round, these containers get a lot of use in my kitchen especially during the winter months. I found that, it is significantly harder to keep basil and cilantro growing on your windowsill in the winter with two curious felines who love munching on herbs. Have you ever craved BBQ in the middle of a winter snowstorm? Have you ever sat and stared out of your window, waiting for the downpour to end just so you could go and grill your dinner? Yep, me too. 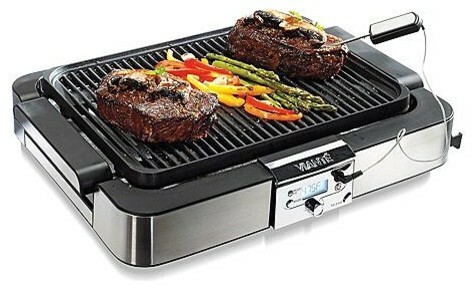 Which is why the day I discovered indoor grills, I never looked back. I still prefer the flavor and the char that my protein and veggies get on the outdoor, charcoal grill, but in a pinch this is an indispensable tool. 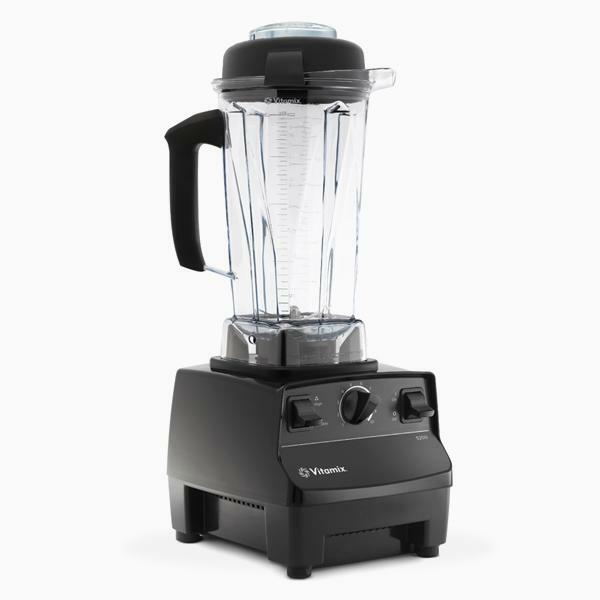 I can’t say enough about blenders. Simply put, they are amazing! I make smoothies, creamy soups, sauces, drinks and I love every minute of it. If you don’t have time to cook, throw some berries into the blender with some almond milk and protein powder and, viola, you have a nutritious snack! Tired of the chemicals in your salad dressing? Combine some herb infused olive oil, citrus juice, salt and pepper and give it quick blend. You’ll never buy another bottle of dressing again. There are plenty of shake and treat recipes out there for healthy and sinfully delicious treats. My favorite one is the Pumpkin Pie Smoothie from bodybuilding.com. Check it out! You don’t have to consume food that is bad for you to get satisfy your sweet tooth if you have a blender and a little imagination! These are not your mothers Tupperware containers! 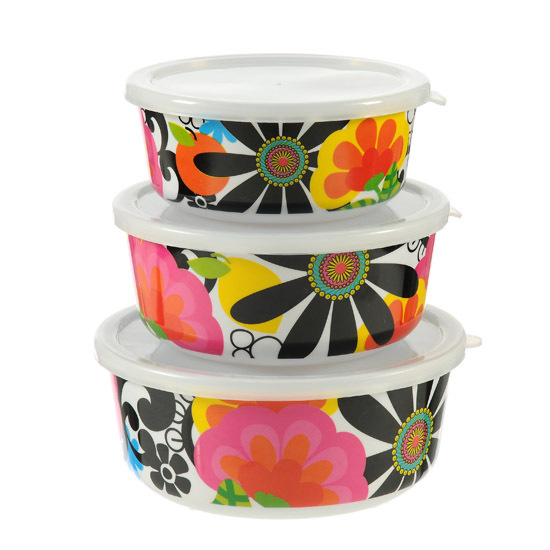 Previously boring food storage containers now come in easy to organize, fun, bright, and unusual designs. Usually I am very busy during the week and rarely have time to cook my food. In order to stay on track and avoid falling victim to hunger and bad food choices I spend my Sunday prepping and portioning my weekday meals. In the long run, it saves me time, money, and I feel better knowing that I stuck to my macros during the week. I am not going to lie, I am a big fan of craft beer. I brew, I am involved in the craft beer community, and I enjoy touring breweries almost as much as I enjoy a great race. Lately, I began to wonder how my love for a great craft brew is effecting my metabolism. I began my research hoping that I am going to get some answers and write a short post about it, but the deeper I got the more I realized that there will be nothing short about this “paper”. I am excited that it is finally starting to come together and I hope to be able to share it with you in the next few weeks. In the mean time, I have to say: stay away from drinking while you are working towards a fitness goal. The damage that you are doing to your metabolic system is not worth the hour of “fun”. Hope you guys are having a great week. If you have any ideas or questions that I can research for you, let me know. I’d be glad to put together a post or two. In the mean time, I’m going to get back to work. 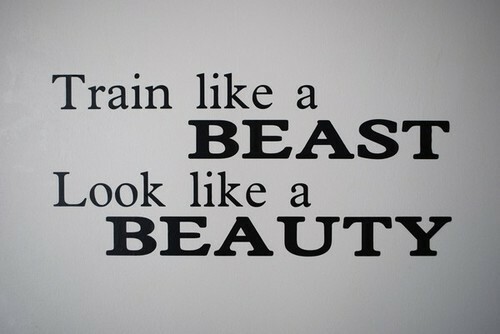 Repeat as many times as you can for 30 minutes. Treadmill walk at 15% incline at your normal brisk walk speed. Do not hold on to the treadmill. If you can’t walk and not hold on, decrease the incline slightly. I thought that by today I’d finally find the words to describe my experience at Peachtree Road Race, but it seems harder now than it was three days ago. I must have started this post a dozen times and everything I wrote so far doesn’t give the race justice. I am not sure if I can properly describe how disappointing and how incredible this race was all at the same time. Usually, I have a lot to say about my races and can talk your era off for hours, but this one was different. All I could answer to the usual “how was your race” question, was “I did well” and smile. I don’t have a lot to say because I wasn’t overwhelmed, I was calm, I was collected, I had a plan, I executed that plan down to the last detail. I guess that is one of the most shocking parts of the event. I was prepared and outside of a small hiccup at the beginning, nothing went wrong. The fact that I was well prepped, allowed me to concentrate on the experience of the race. I was prepared to take on the crowds, struggle through the hills, take on the Cardiac Hill, and come out on the other side tiered and satisfied and full of exciting memories. Instead, it was just…. well, mellow. Very mellow. I woke up very early on the 4th of July and turned on the news as I was making breakfast. As expected, our local news channels were showing the preparations for the race, talking about road closures, and showing wet and yet hopeful volunteers setting up barricades to help re-route traffic. At that point, it has been raining for two days and no one was expecting to be dry. Days in advance I told myself that I was going to be uncomfortable and it hardly mattered how that discomfort was going to manifest. All I cared about as I left my house that morning was staying dry and warm long enough to get to the start. 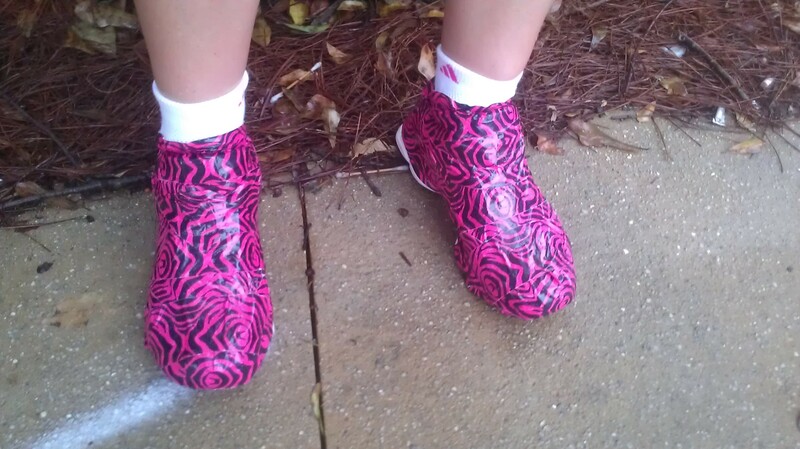 The best shoe waterproofing idea I have ever seen! Surprisingly, as we approached Buckhead, we didn’t encounter traffic. Atlanta without the stop-and-go? What?! No way! I couldn’t believe it! The rain picked up again and as I was about to exit the car and begin my walk towards my starting wave, I realized that I left my giant trash bag rain poncho at home. After a short search around the car, I found a small umbrella and decided that it’ll do. Since this was my very first Peachtree Road Race, I had no idea if I was going to have an opportunity to stay dry, so I played it safe. 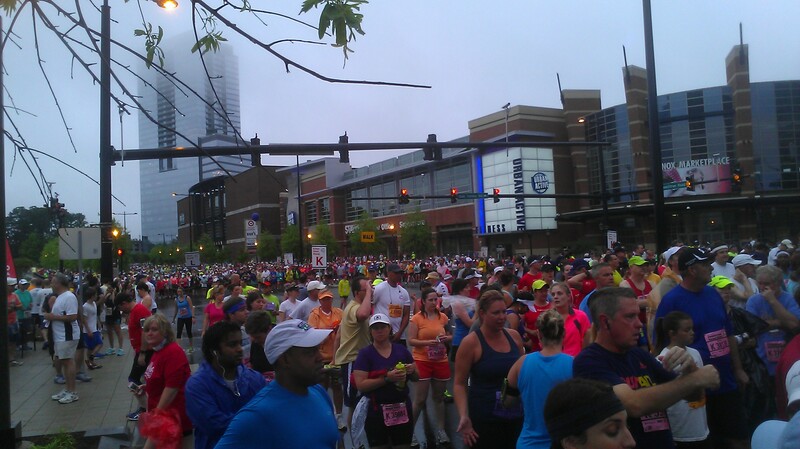 Thousands of runners on Peachtree Rd before the start of the race. I think I was the only one with an umbrella in that crowd, and honestly, I didn’t care. Since my brother (also my running buddy) was yet to find me in the sea of wet, excited runners, I figured that holding an umbrella would work better than try to explain that I am “right next to the giant green crane across the street from Sacks on Fifth, no wait, we are moving again”. I was right. Ten minutes after Tim texted me his location, I heard my name being called in the crowd and there he was! The iconic giant flag above the start line. Luckily, the rain stopped right before “the gun went off ” and we were on our way. The first three miles seemed deceptively easy. I looked down at my watch and realized that I just ran a 5K thirteen minutes faster than normal. After a short moment of panic I checked in with myself: I was not tired, I was not hurt, and I could, in fact, take the Cardiac Hill without an issue! I was told by many veteran runners that Cardiac Hill is the best part of the race. Usually crowds of spectators line the sidewalks and cheer on the runners. I was told that the energy you feel on that hill is unreal and if your legs are giving out, you’d run on sheer principal because no one wants to disappoint a crowd! I guess I had very high expectation. When I got to the hill, there were no crowds. A few spectators stood holding signs of encouragement, but that’s about it. I’d like to say thank you to those who braved the rain to encourage us on the hill. By the time I got to the final mile, the crowd grew more active and the runners began to slow down. People were handing out beer and water to the participants and encouraging us to keep going. If I was beginning to question the dedication of my wonderful city to this race, all of that dissipated when a toddler ran out into the street to high-five me. I finished the race to cheering and applause with a 10K PR, walked through a beautiful grassy field in Piedmont Park that was slowly turning into a mud pit, stopped in at the Atlanta Track Club VIP area and said hello to a few people. By the time I was done with my post race snack, my brother called and we began our long walk to our car. I think that post race walk was probably one of my favorite parts of the race. Maybe it is because my brother is an extremely charismatic person, or because we, runners, are a naturally friendly bunch, but I have never seen anyone receive this many high-fives and make so many people smile as he did. 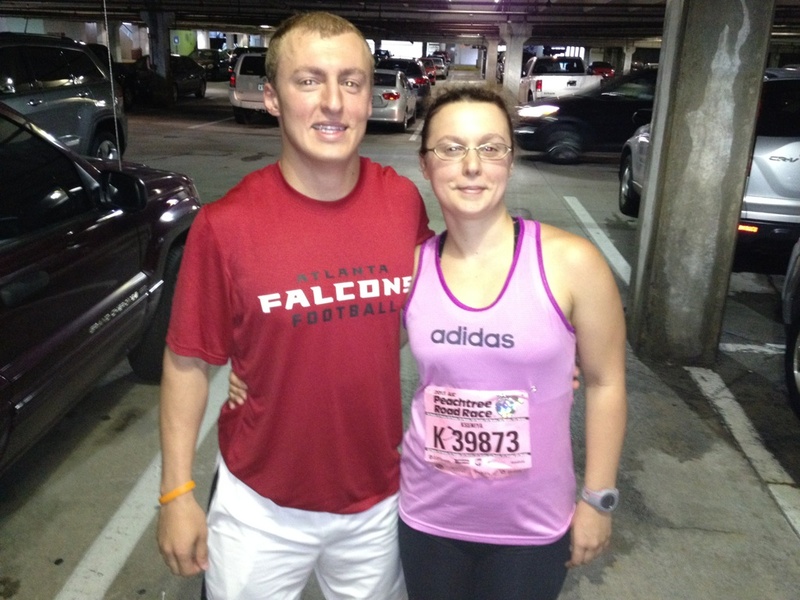 It made me truly proud to be a part of the Atlanta running community and to be his big sister. Regardless of the weather and the dirt, the race was a success and I am beginning to think that I have found a new 4th of July tradition. If you live in Atlanta, or if you are a runner, Peachtree Road Race is one of those events that you have to run at least once. Reheat and cut up Herbed Chicken into bit sized pieces, set aside. In a bowl, combine baby spring mix, diced cherries, feta cheese, and orange juice. Mix well, set aside. Spread 1/2 tbsp of light mayo on the whole wheat tortilla, arrange chicken and veggie mix on the tortilla, drizzle with sriracha and fold into a wrap. Makes two wraps. 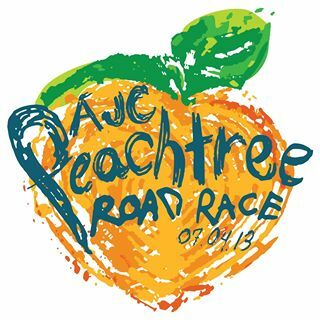 I believe that if you are a runner and you live in Atlanta, you absolutely have to run Peachtree Road Race at least once. After all, Peachtree Road Race is considered to be the largest 10K race in the world. It spans the scenic, 6.2 miles through Atlanta and finishes at Piedmont Park. The very first Peachtree Road Race was held on July 4th 1970. It is hard to believe now, but on that day 110 participants showed up at the start line. Those 110 are now known as the “Original 110”. The popularity of the race grew through the years and Atlanta Track Club had to expand the cap for the number of participants multiple time over the years. Now the race has a cap of 60,000 participants and multiple starting waves. The registration for the race is done via electronic lottery, a practice started in 2011 due to the growing interest in the race. This year I will be joining the crowds of runner and spectators to participate in this iconic Atlanta event. I am giddy with excitement and I can barely wait to lace up my shoes and join my brother, my friends, and other Atlanta Track Club members at the start line. I can’t wait to triumphantly tackle the “Cardiac Hill” (a long incline near Piedmont Hospital), turn onto 10th street and cross the finish line! Rain or shine, I will finish this race and I will have my celebratory beer and maybe a bagel and enjoy the 4th of July celebrations knowing that I was a part of something amazing!